Feb. 2, 2018 -- Flu season in the U.S. is in its 10th week, but CDC officials can't say if it has peaked yet. "We aren't out of the woods yet," Anne Schuchat, MD, acting director of the CDC, said at a Friday morning briefing. Parents should be aware that the flu epidemic is taking a fatal toll on children: 16 kids died from the flu or flu-related problems in the past week, bringing the total of pediatric deaths to 53 for the season. "Unfortunately, flu activity is still high and widespread across most of the nation and increasing overall," Schuchat said. Flu seasons typically last 11 to 20 weeks, she said. 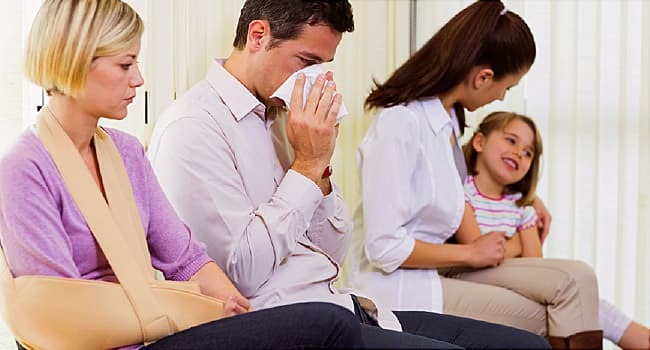 "We probably have several weeks left of increased flu activity. We do not know if we have hit the peak. The length of this season is not unusual, but the hospitalizations are," she said. Briefing, CDC, Feb. 2, 2018. Wally Ghurabi, DO, medical director, Nethercutt Emergency Center -- UCLA Healthcare, Santa Monica, CA.